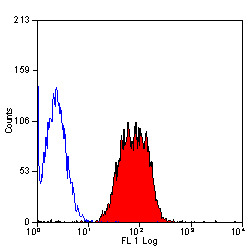 This antibody may replace item sc-113298 from Santa Cruz Biotechnology. 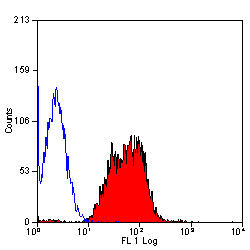 Find tissues and cell lines supported by DNA array analysis to express Itgb1. 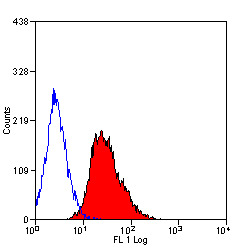 Find tissues and cell lines supported by RNA-seq analysis to express Itgb1. 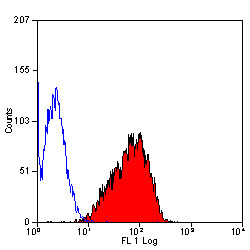 Fusion Partners: Spleen cells from immunised Armenian hamsters were fused with cells of the P3U1 mouse myeloma cell line. 1. Noto, K. et al. 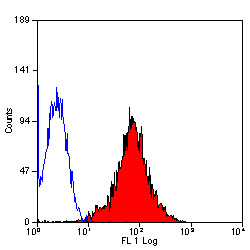 (1995) Identification and functional characterization of mouse CD29 with a mAb. Int. Immunol. 7: 835-842. 2. Lu, T.Y. et al. (2010) Epithelial cell adhesion molecule regulation is associated with the maintenance of the undifferentiated phenotype of human embryonic stem cells. J Biol Chem. 285: 8719-32. 3. Li, S. et al. (2010) Upregulation of CXCR4 favoring neural-like cells migration via AKT activation.